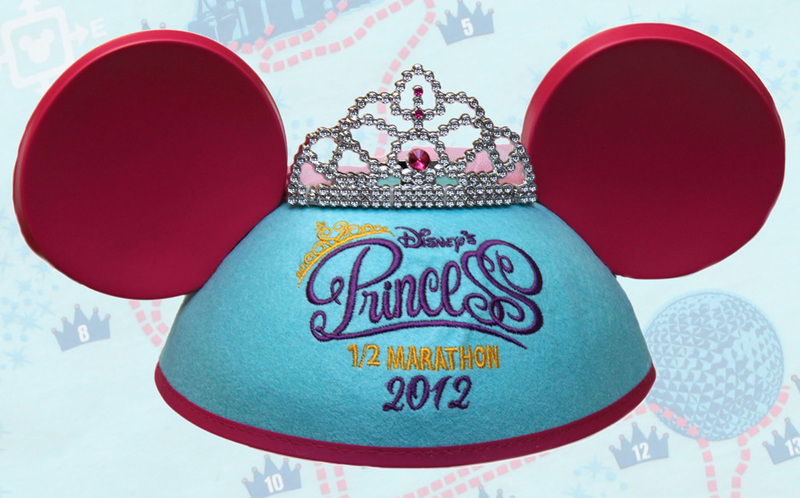 This is the the merchandise created by Disney for the upcoming Disney’s Princess Half Marathon weekend being held Feb. 24-26 at Walt Disney World Resort. The “I Did It!” shirt contains a map of the course on the back. 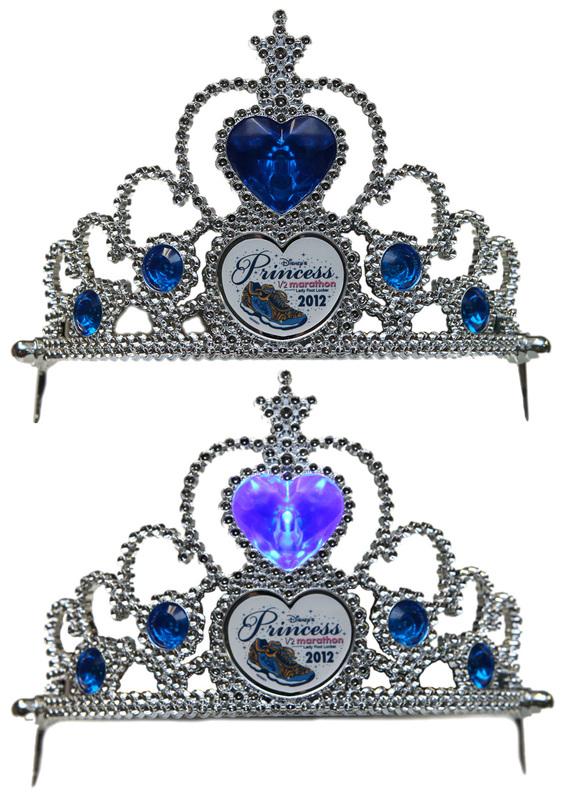 This tiara has an on/off switch and the blue jewels will light up when activated. 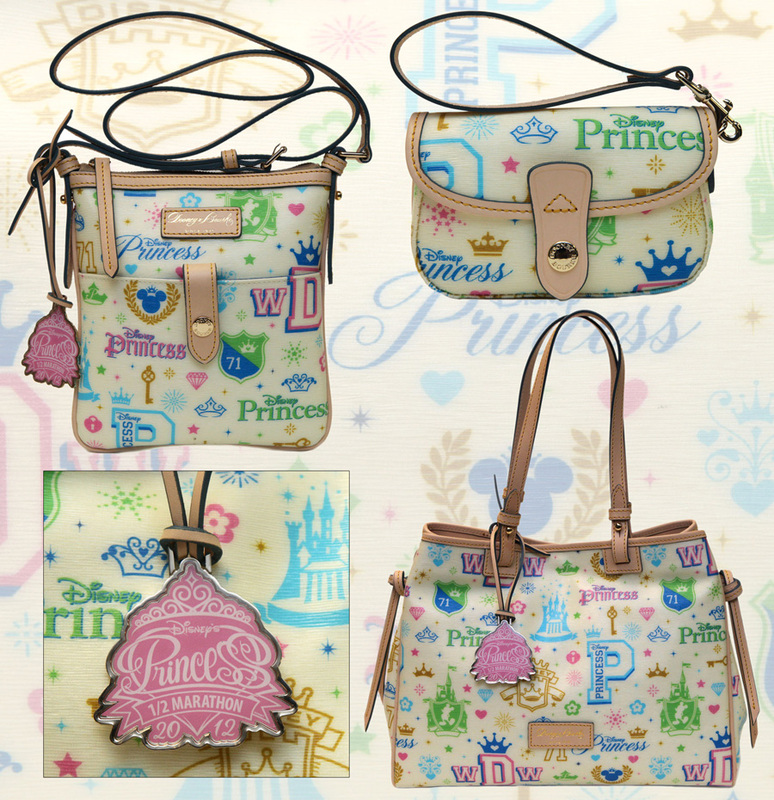 And let's finish with a personal favorite for many of you: The Dooney & Bourke items themed after the Disney Princess! Do you think the items will still be available on Saturday? 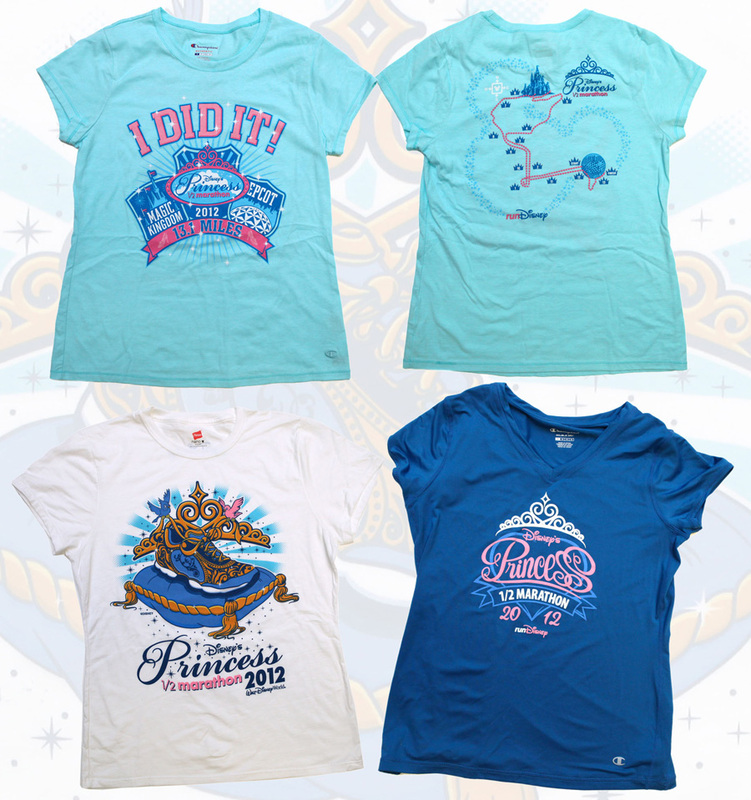 These items and others will be released at the Disney’s Fit for a Princess Expo starting on February 24 at the ESPN Wide World of Sports. your blog is so good to read. All items are so well specially apparel. Keep it up.